These terrorists, he claimed, had succeeded in intimidating local people and authorities through their Pakistan-backed covert armed militancy and tactics, and suggested that Islamabad is not keen for an all-out war with Delhi. 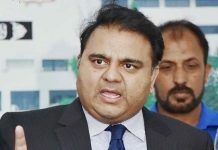 “The violence in Jammu and Kashmir was a proxy war against India through which Pakistan attempted to impose a heavy political and economic burden on its nuclear neighbour.. the military establishment of Pakistan provided all kinds of support, including training, ammunition, and shelter to the terrorists in a bid to bring down Indian authority,” he said. Qureshi said in a sense he was relieved and happy to be invited by the University of Leicester to expose the real designs of globally-designated terrorists like Hafiz Saeed, that of trying to recruit youngsters from the South Asian Diaspora to fight in Jammu and Kashmir. This university, he said, had made the mistake of extending an invitation to Saeed in 1995 to address students while he was on a speaking tour across UK mosques, Islamic centers, and universities. 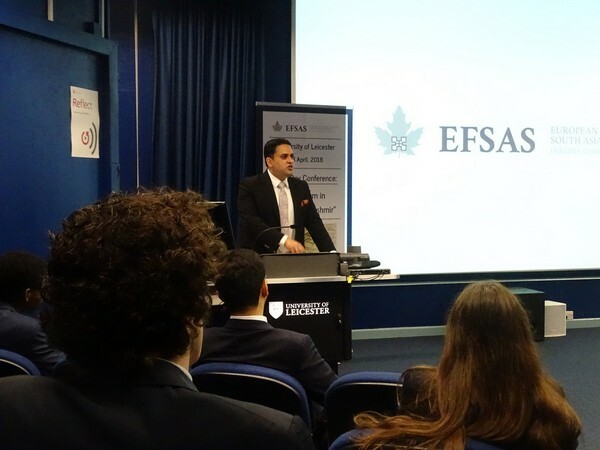 “Hafiz Saeed’s lectures at this university in 1995 were acts of terrorism which had only brought death and destruction to Jammu and Kashmir and the region of South Asia,” Qureshi pointed out. Qureshi and other keynote speakers at the conference also engaged participating students in intense debates over the region of Jammu and Kashmir, terrorism in Jammu and Kashmir, the building of the USD 60 billion China-Pakistan Economic Corridor and India-Pakistan relations. The deliberations resulted in the drafting a comprehensive resolution that supported the creation of programs to address the growing radicalisation of youth in Jammu and Kashmir and encouragement for application of tougher counter-terrorism policies, including, but not limited to, the creation of bilateral agreements between India and Pakistan to share intelligence. In conclusion, Qureshi said the new narrative should be the creation of an environment of tranquility to facilitating a peaceful political solution to the Jammu and Kashmir conflict, and this could only be achieved if the region is liberated from terrorism, violence, and fear.